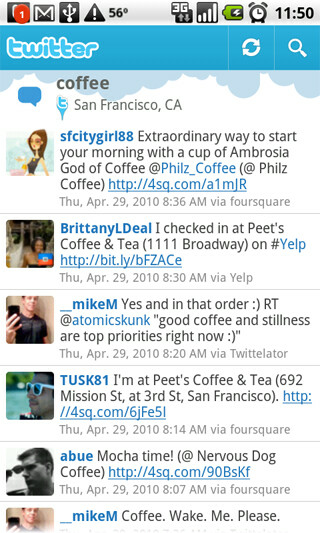 Just a bit over 2 weeks ago, we reported that a Twitter app for Android was in the works. 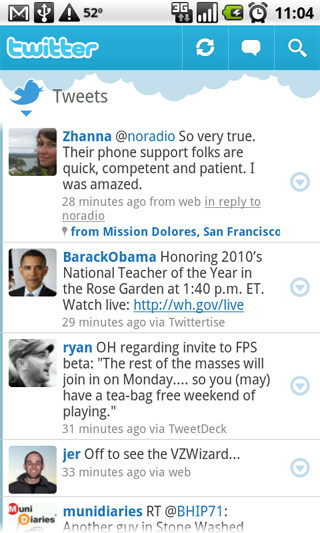 We are happy to report that now, the official Twitter app for Android is here. Available now at the Android Market, the official Twitter app brings you everything you need except support for multiple Twitter accounts which we believe will be supported somewhere down the road. Still, there is some more Android "Fragmentation" going on with this app because it will work only on those models running the Android 2.1 OS or higher, which is still not a large number of handsets at this point. 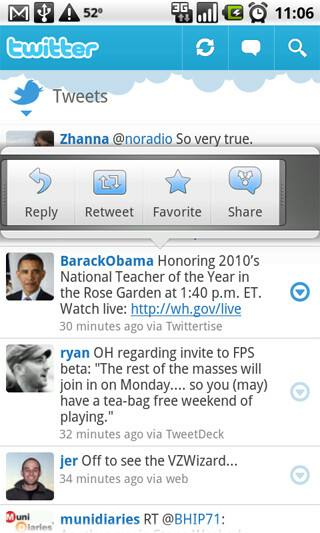 Among the features of the "official" Twitter for Android app is full support for widgets, using the Quick Contact bar to see user's tweets and the ability to upload images and videos straight from the Gallery. 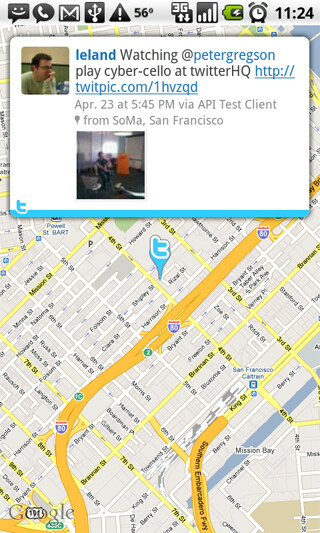 The home screen widget lets you access your timeline and you can view the location of a tweet on a map. 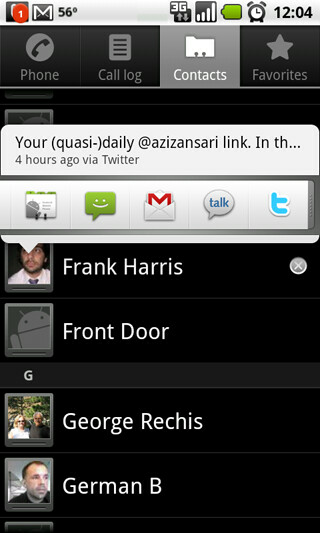 Twitter for Android is a free download and can be scanned into your phone via the QR code on the source link. Or, as we mentioned, you can roll your shopping cart in the Android Market over to the application and install it on your Motorola DROID, Nexus One or HTC Droid Incredible. 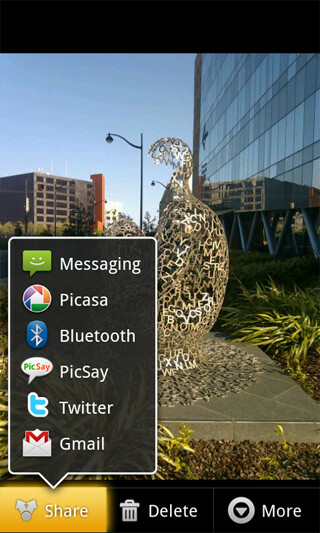 If your Android phone is not of those three models, you will still have to use other apps like Twidroid until your handset gets upgraded to the newer build. i think you forgot the htc legend and desire both are 2.1 devices. Europa got them for quite some time now.